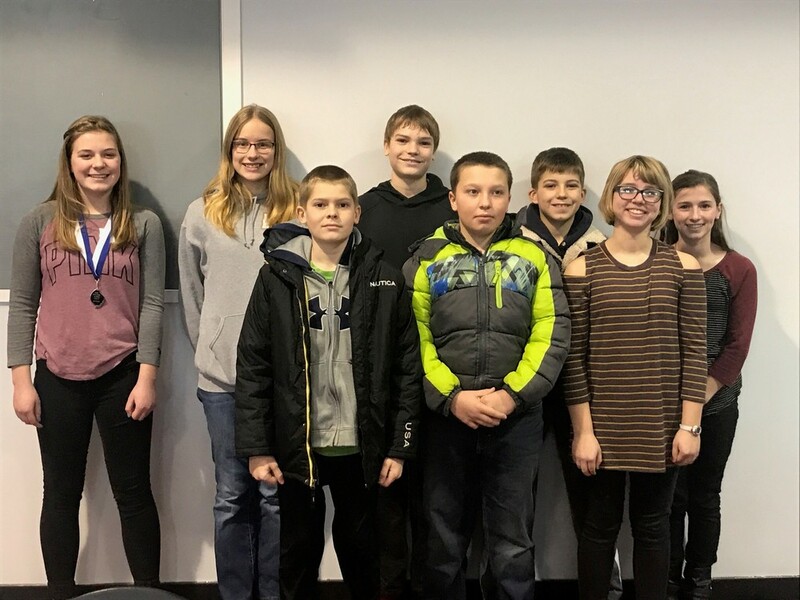 Chambers students in grades 5-8 travelled to Stuart on Friday, February 9 and competed in the annual Holt County Spelling Bee contest. Participants were (back row) Jenae , Faith , Peter, and Kirsten. (Front Row) Will, Beau, and Hannah. Jenae placed second in the contest.